No more wondering who to call and when, or forgetting to send that all-important follow up email. MAX takes the tedious labor out of marketing. Set up your contacts and campaign, tell MAX what to do and when to do it, and rest easy. Don’t risk losing customers by opting for a contact channel that they don’t like – with MAX you can match the medium and the message to the recipient. If you want to make your marketing easier, smoother and more consistent, MAX has you covered. Go beyond the traditional ways of “email blasts.” Dynamic emails allow you to change entire phrases, images, and more to send personalized emails, all without the need for coding. Choose from over 30 templates or create your own email template with your custom HTML. In-depth tracking and analytics provide “after-the-click” behavioral tracking of each lead and of course the ability to see opens, bounces, clicks and more. Visitor ID uses reverse IP lookup to identify who visits your site, providing all sorts of contact information like company, names, emails, phone numbers, etc. Track your known leads by getting notified when they come back to the site. Receive daily “Visitor ID emails” to quickly see which leads are visiting your site, without even logging in. Gain crucial insights to convert those leads and drive more revenue. Tracking the “life of the lead” allows you to see every single contact or action involving your lead, including emails, site visits, form submissions and more. 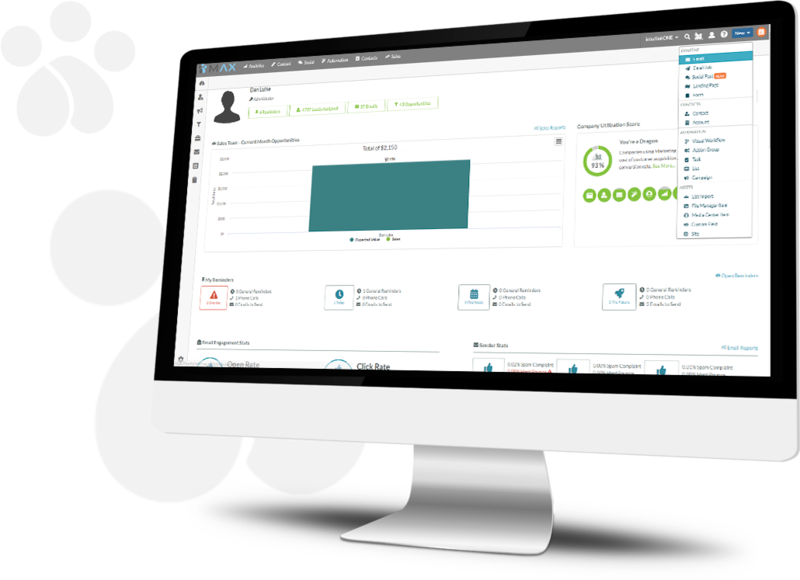 You can even set triggers to automated tasks based on certain activities to make sure you are reaching your lead at critical points in the sales funnel. 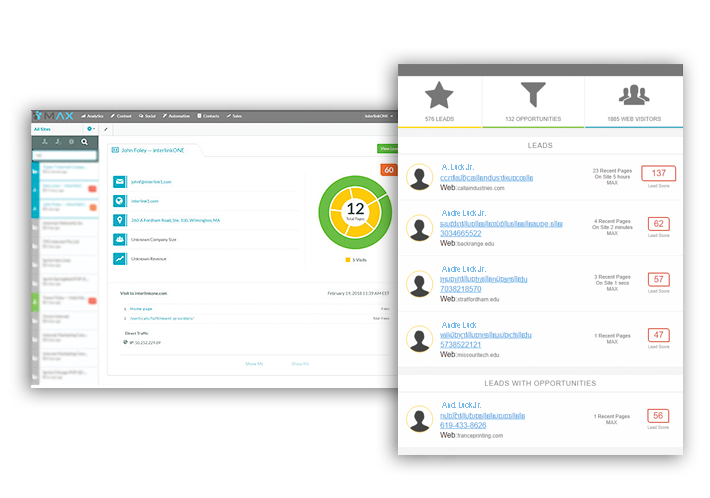 Contact Manager is your one place to organize, search, score and manage all of your leads. 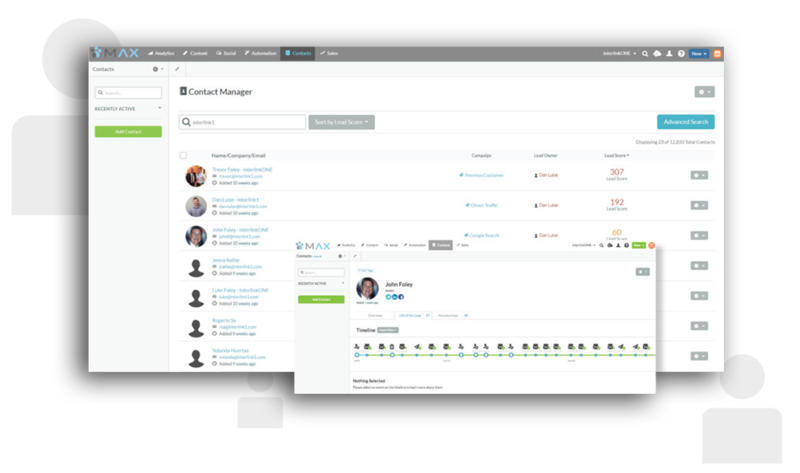 MAX allows you to integrate your favorite CRM or use our powerful built-in tool. 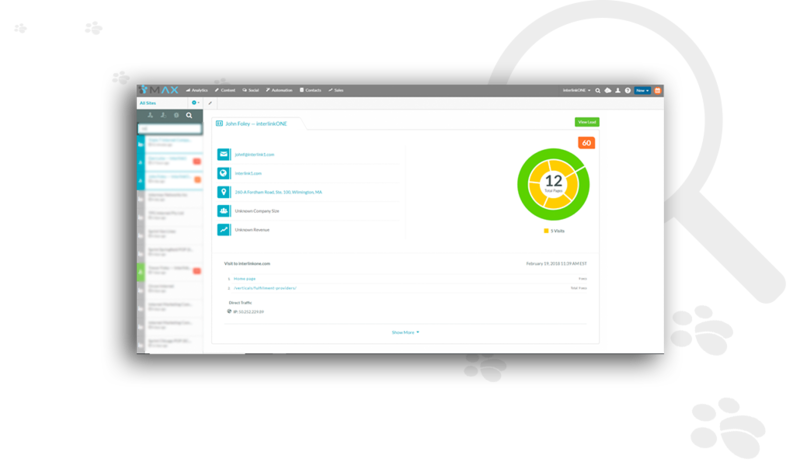 Create custom deal stages, see them all at once with a pipeline view, and easily drag and drop your leads to different stages. 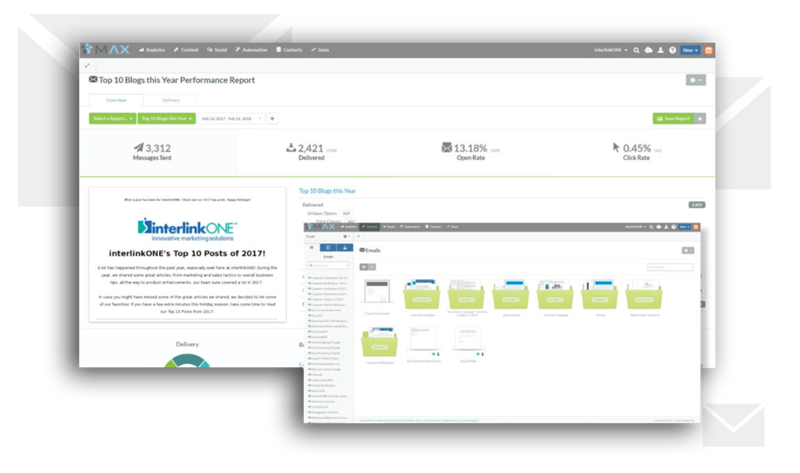 Set reminders, create notes, score your leads, and receive actionable reports on your pipeline, conversions and more. Get to know your lead with the ability to link their social accounts, easily see every campaign, list and email they are associated with and track the life of your lead. 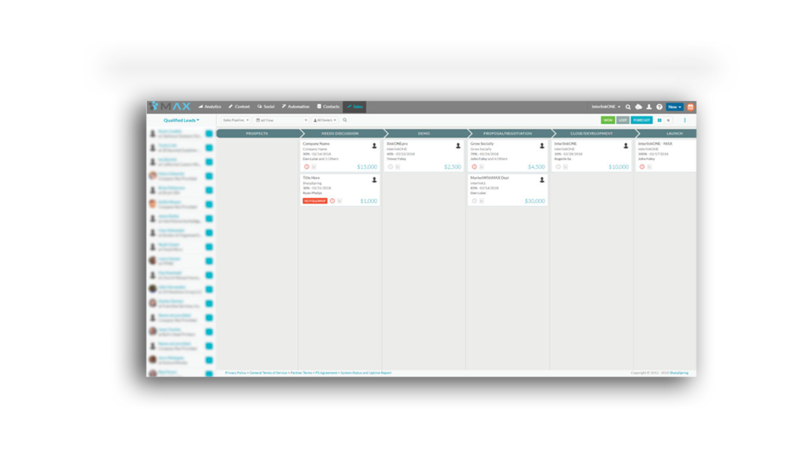 Be able to visualize your entire campaign with our workflow builder. Point, click, expand and combine tasks to create specific touch points and build your campaign. Create and implement triggers and filters to keep your prospects and leads on the right path. 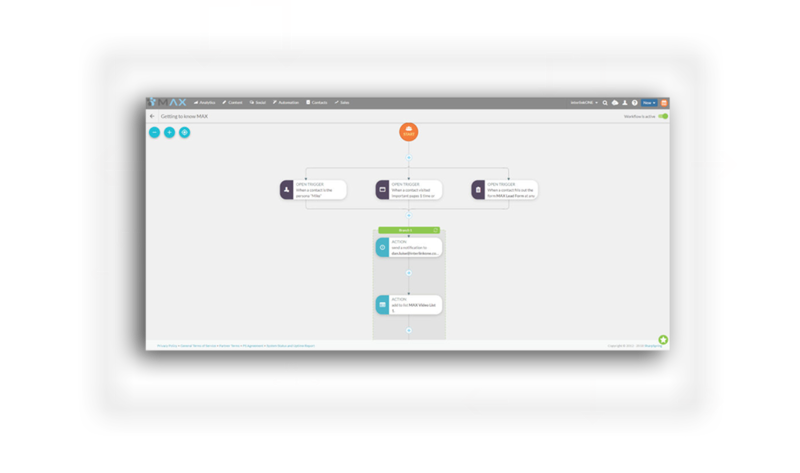 The Visual workflow allows you to see entire behavior-based campaigns from a bird’s eye view so you know exactly which paths your leads are taking. From opens, clicks, bounces, and deliveries you can easily track everything that has to do with your emails. Track beyond the inbox with an in-depth comparison of site visits, conversions and direct revenue. Get actionable metrics on every step of your campaign to drive that success and revenue. In-depth analytics are available every step of the way and offer a great source of comparison to see what is working and what needs improvement. Want to see MAX in Action?